It’s not too early for me to be feeling stress over a planned gallery show next year. Candy and I have admitted to each other that we feel the anxiety building. What will be in the show? How many pieces will we need? How will I find the time to finish mine? Aack! It was time to try and take it down a notch, find a way to play to my strengths and (always important) enjoy the journey. I came up with a plan to make small quilts, one per month and each mounted on pre-stretched canvas thus making them easy to handle and hang. So far so good! 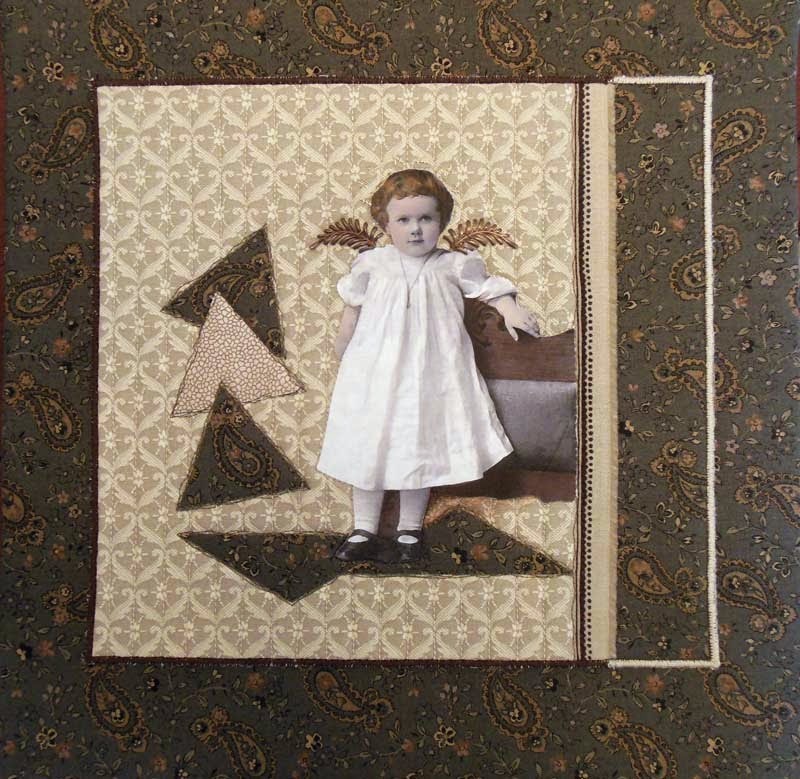 I’m keeping with my vintage children theme and have three finished and another nearly done. 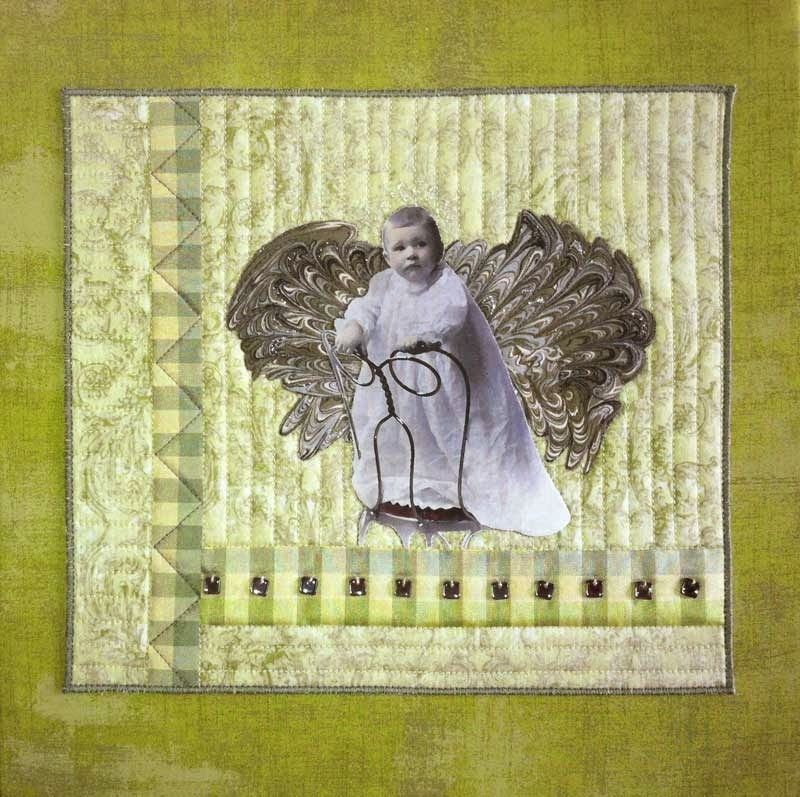 The idea of 12-16 small angel babies, along with 2-3 larger works, and the challenge quilts (which are already done!) now seems much less daunting.